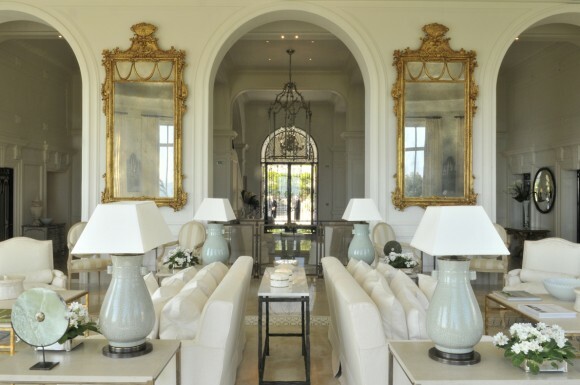 We all know first impressions are often lasting ones, regardless if we are dressing or decorating to impress. The latter of which is often the sole intent of luxury hotels around the world. If we are going to spend hundreds if not thousands of dollars a night, we want to live in a world that cocoons us in the very definition of swank and decadence. When we are traveling for our one big, “throw it all out the window” vacation every year, my decision is based partially on the hotel lobby. This is where I spend a great deal of time, reading, people watching and in the mornings enjoying a cup of java. Often with the illusion that this is my living room, and I’m kind enough to let people traverse through it. 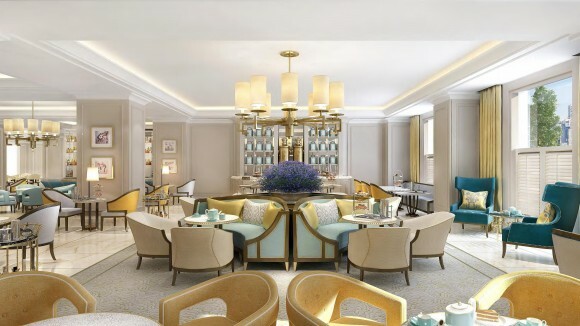 Hotel lobbies have become a calling card and many hotel groups have partnered with big name talents and architects to ensure the lobby is the visual hook that will ensure a booking. Personally, I’ve even made the mistake of using that philosophy as the sole predictor and overlooked the rooms, which was a big miscalculation, huge in fact. So I literally spent most of my time in the lobby and used the room as a place to store my luggage. An expensive lesson learned. 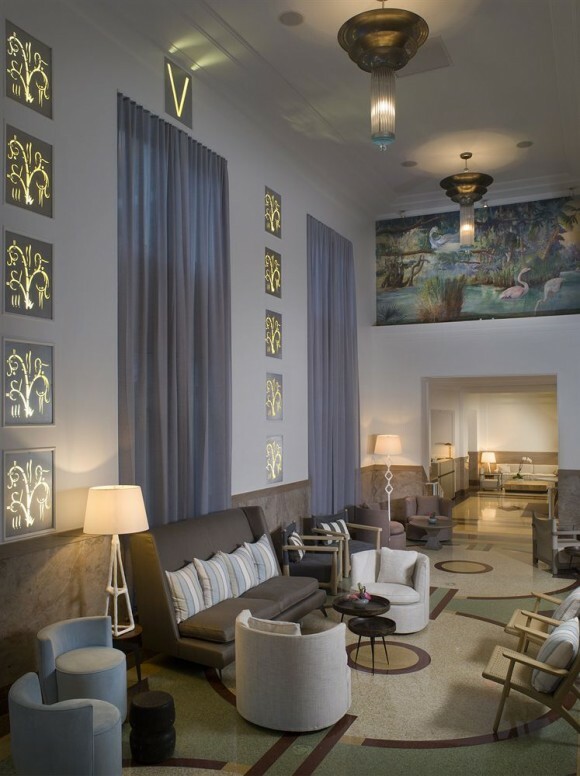 I’ve been collecting photos of some of my favorite hotel lobbies over the past few years and wanted to share just a few, they are places that you’ll truly want to live in…even if it’s from the comfort of your home. 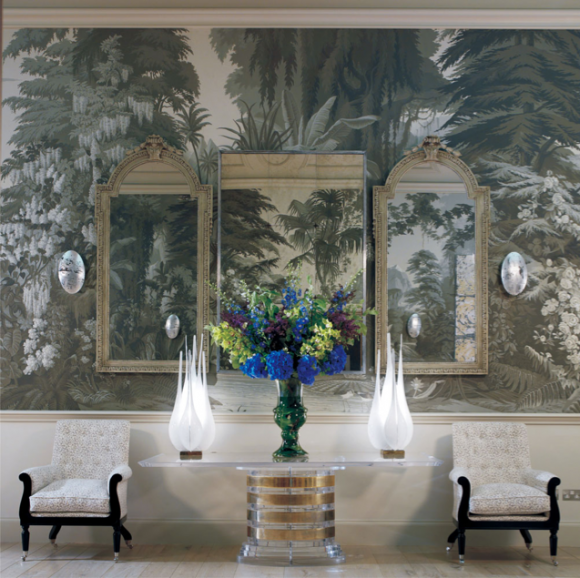 This hotel was designed by Kit Kemp, it’s the design intersection of contemporary overtones with classical sensibilities. 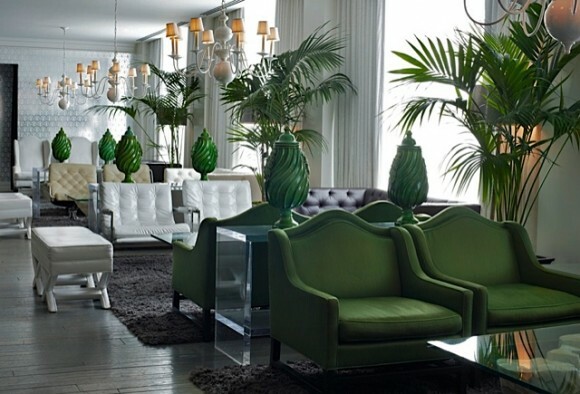 The interior of this luxury hotel was designed by Kelly Wearstler and defines chic sophistication. It’s signature Kelly. Classical sophistication and modern charm greet you at the door of this luxury hotel, featuring world class views of the harbour. Declared a national monument, and retaining its colonial architecture. 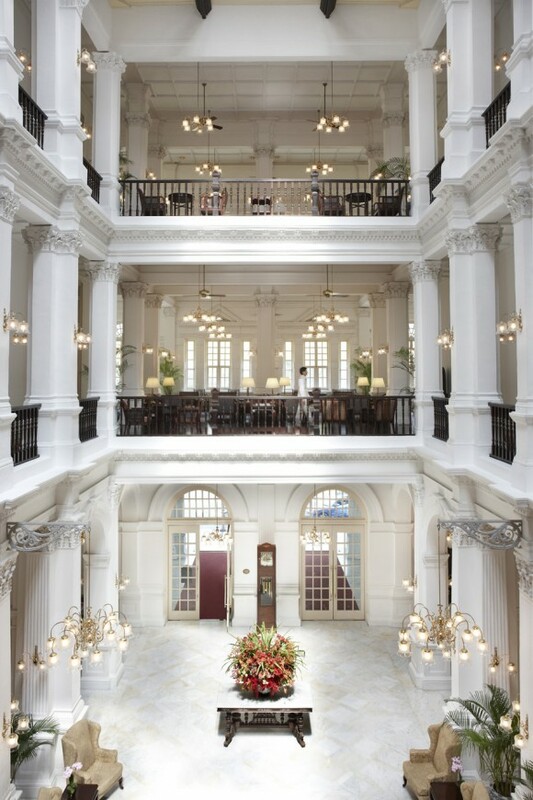 Raffles, Singapore has been thoughtfully preserved from white colonnades to it’s soaring atrium. 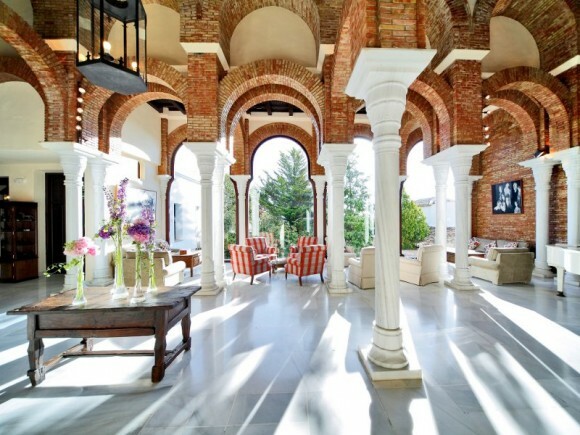 A luxury Four Seasons retreat located on a hillside overlooking the Mediterranian in the Cote d’ Azur. That’s all the description this five-star resort needs. Owned by Sean McPhearson, a successful New Zealand hotelier. 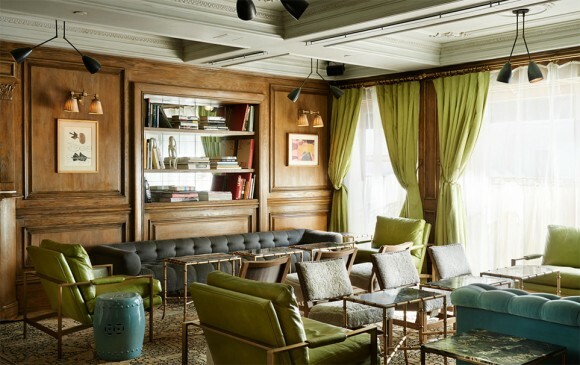 Originally, built in the 1900’s this building touts an illustrious past, and while it’s not large, the rooms are full of elegance and iconic style. 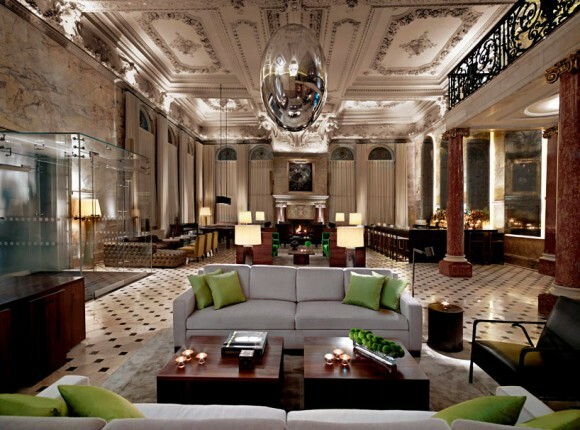 Owned by Ian Schrager, Co-Owner of the legendary NY nightclub Studio 54. Designed by Yabu Pushelberg. This cutting edge hotel gives new meaning to electrifying design. 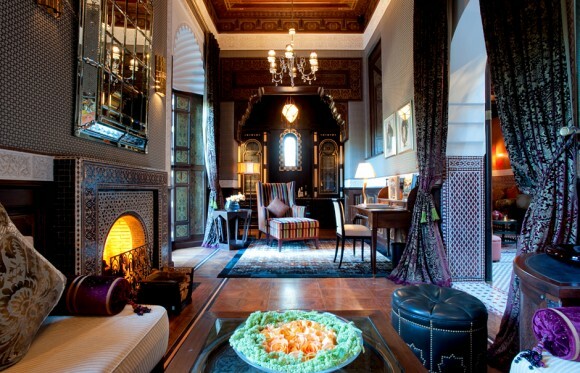 Designed to replicate the classic form of the traditional medina, this luxury hotel employed hundreds of artisans to work on the construction, and is entirely handmade. The website is worth looking at…and is an experience which can be savored from the comfort of your home. Great blog once again Vicki! Hotel lobbies are a favorite of mine as well. The Palmer House Hilton in Chicago is one of my favorites. I would take my children there as they were growing up so they could appreciate design and architecture. I must have done something right as that is the only hotel they want to stay when in Chicago.